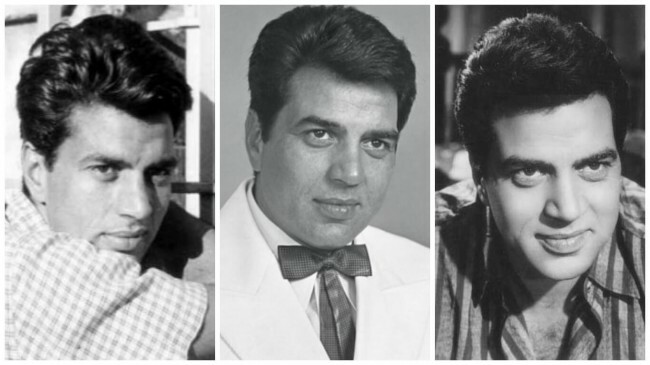 Had his dreams remained just dreams, Dharmendra could well have been driving a tractor in the verdant fields of Punjab all through the years during which he was, instead, one of the biggest stars of Hindi cinema. Born Dharminder Singh Deol on 8 December 1935 in Nasrali, a peaceful village in Ludhiana district, Punjab, to schoolteacher Kewal Kishan Singh and Satwant Kaur, his family had its roots in the nearby less-than-a-dot-on-the-map village of Dangon, near Pakhowal, Ludhiana. Dharminder Singh spent his early life in the village of Sahnewal and studied at Government Senior Secondary School at Lalton Kalan in Ludhiana district, where his father was the headmaster. He later did his Intermediate from Ramgarhia College, Phagwara, in 1952. Dharmendra spoke to me about his early ambitions during our first interview meeting in 2011. Since he was a simple boy from Punjab who wanted to set out to enter the big, bad world of films, how had his family reacted? So, what had actually stirred the pot and made the lad wish to get into films? What was, so to speak, the churning point? The answer to this was as simple as the man himself: Years ago, he had gone with his uncle for a relative’s wedding to a nearby town. He was about twelve or thirteen years old at the time, studying in Class Eight, when he got to watch (the result of a promise made by the uncle as an incentive to attend the wedding) a film called “Shaheed” at the Minerva cinema in Ludhiana. And that did it! Suddenly, life changed for the young boy. The images from the film began to haunt him. Nothing else was of any interest. His mother continued to tell the boy fairy tales and inspirational stories; the grocer in the village continued his spell of ghost stories, but young Dharam was no longer the avid listener. He believed in the boy Ram from the film, who grew up to be a freedom fighter enacted by the famous Dilip Kumar. He felt Ram and he were brothers. He began to spend a lot of time on his own, with thoughts of the little boy (interestingly played by one Sashi Kapur, who had nothing to do with Shashi Kapoor!) from Shaheed for ‘company’. He felt that he knew and understood him, and he certainly wanted to be like him and grow up to be — in an interesting interplay of reel and real — Dilip Kumar! Years passed and Dharam grew into a strapping young man. He even joined an American drilling company as what he now calls ‘a mechanic’. Around this time, it is said Dharam Singh lost his virginity to an older woman, and also had his first drink in the company of his American colleagues from the drilling company. In 1954, he married Prakash Kaur.